Soak up the summer sun day or night with OFRA's Rodeo Drive Highlighter! This radiant new product captures the luxury and glamour of the famous street in sunny California. A versatile and universally flattering sun-kissed shade it can be seamlessly integrated into any makeup look. Add to the high points of your face and any specific area the light may hit such as your brow bone Cupid's bow inner eye corners chin and even across your lips. As if this highlighter couldn't get any more beautiful the impressive design mimics beaming sun rays and reveals a light golden hue. The highlighter's extraordinary luminosity is the result of OFRA's liquid to baked technology using the highest grade pearls that provide an unparalleled pigment payoff and rich sheen. 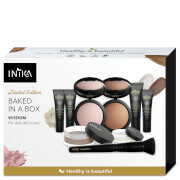 The packaging is very simple, it put me off a little when I opened it, it doesn't come with a brush or applicator of any type.. however, upon my first use.. I was sold. If they want to develop a quality product and put it in basic packaging that's fine by me!! 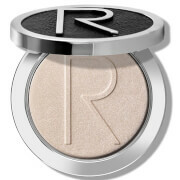 OFRA - Rodeo Drive Highlighter is a silky smooth, almost creamy powdered highlighting product that is highly pigmented and a little goes a very long way! It feels and looks classy, yet fun, beautiful for a night out but equally as pretty for a day at the beach. It shows up on my skin great in photos as well. I have fairly pale skin with pinkish undertones but I do use a light face tan lotion, i found this color to work great for me. Actually I can see that it would suit any skin tone really. I would highly recommend it as I don't think it would disappoint.